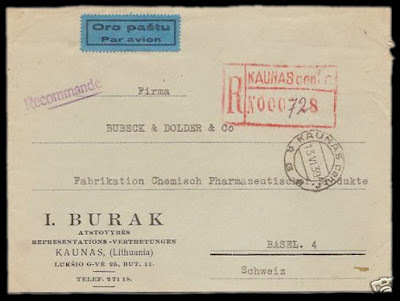 1939 Registered Airmail cover from Lithuania (Kaunas) to Switzerland (Basel). Sent 13.6.1939, arrival postmark 15.6.1939. Franked 1,5 Lt (other side). Postal rate - fourth period.